In an ideal world, I would wash my face every day. I'd never have a blemish and my skin would be perfectly moisturized. Yeah, right. In our imperfect world, sometimes I just want to collapse into bed without worrying about the three step wash, tone, and moisturize routine. 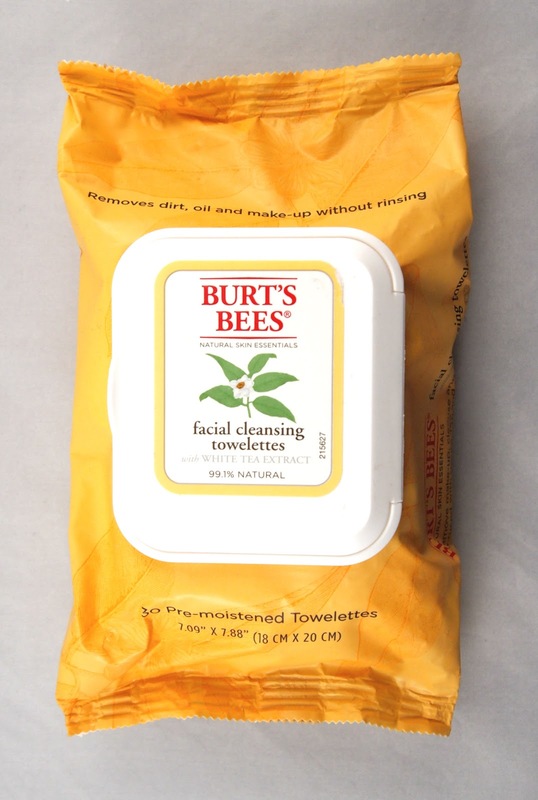 Instead of skipping cleansing altogether, consider an alternative such as Burt's Bees Facial Cleansing Towelettes. Burt's Bees Facial Cleansing Towelettes are a nice option for those who are traveling or looking for a quick way to remove makeup. If you need a fast solution before bed or a tough workout, these will definitely do the trick. However, they are not quite strong enough for all eye makeup, so I'd recommend following up with a separate eye makeup remover in the morning, if not sooner. I was really glad to see that these wipes contain no animal ingredients, so they are safe for vegans (unlike many Burt's Bees products). However, they do contain ingredients such as a fragrance, benzyl alcohol, and amylcinnamaldehyde, which bump up the rating to a 5 on EWG's skin deep database. However, these wipes are much safer than many conventional options, so I'd recommend them as an occasional alternative to your normal skin care routine.